Tonight's match between Chelsea and Manchester City promises a lot from an attacking point of view. However, with the absence of Yaya Toure, Diego Costa (and Cesc Fabregas being a bit of a doubt) it could in fact end up being a damp squib. So far this season, Chelsea have been formidable at home (100% win record, 24 goals scored and 3 conceded), where as City have been fantastic on the road (64% win record, 25 goals scored and 11 conceded). In effect, the team with the best home record is playing the team with the best away record and in the overall table they are 1st and 2nd respectively. It is no exaggeration to say that a Chelsea win could virtually seal the title race as they would gain a 8 points lead. Conversely, a City win will reinvigorate the two-horse race with a 2 points difference. Then again, it could easily finish 0-0 or 1-1 with the status quo being retained. I believe that City are capable of breaching Chelsea's defence and vice versa. 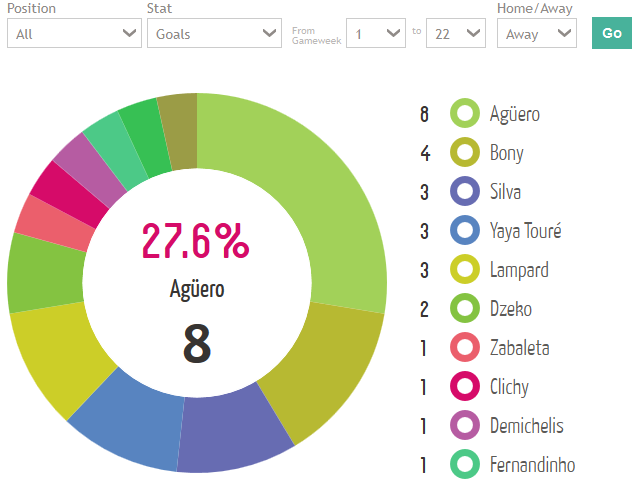 Aguero missed a lot of the winter period due to injury, yet remains City's best goal scorer on the road by a comfortable distance. If he plays to his best tonight, Chelsea would be hard pressed to keep a clean sheet. *I considered buying Cazorla, Ward-Prowse, Walters, Puncheon and Pelle. Why did I buy Defoe and Walcott? Both have FPL pedigree via historical stats. Defoe and Walcott aren't simply risky purchases. Both are "Super Differentials" (less than 1% ownership). Arsenal and Sunderland have a good run of games & need wins/goals. I'm not a fan of template teams & I hope this is the beginning of 2 bandwagons. I have slumped dramatically down the rankings & I need to try something different. They haven't shown prolonged form of late due to different reasons, but they are special. 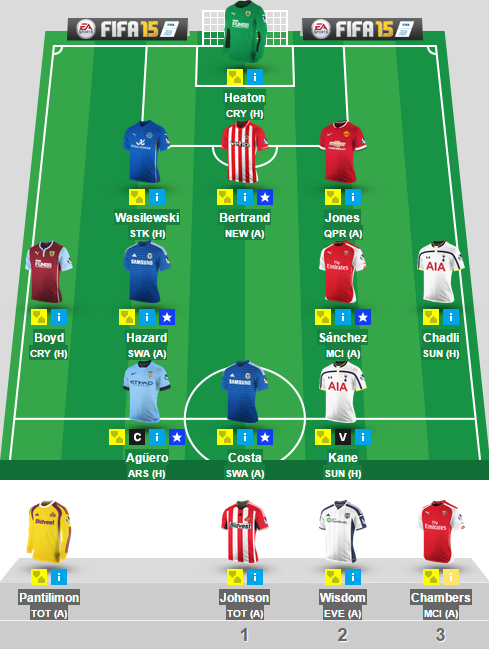 I initially wanted to sell Chadli for Walters as I already have Kane and Stoke have a good run of games till April. In addition, as a result of Chelsea and Tottenham reaching the League Cup final, GW27 is a truncated GW with no Chelsea, Tottenham, QPR or Leicester. However, GW28 is now a DGW for Tottenham and QPR. Chelsea and Leicester's DGW should be announced soon. 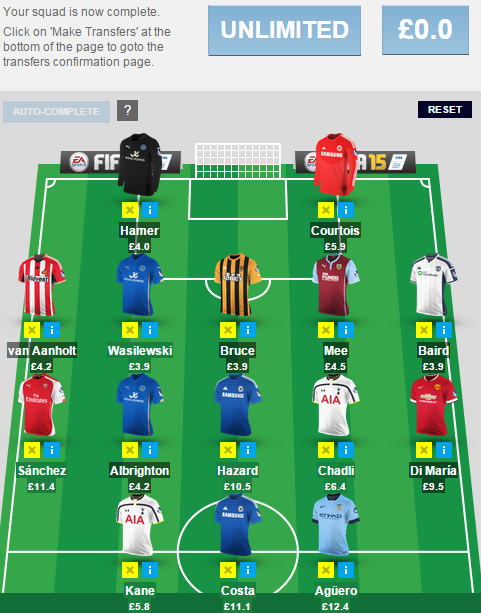 I am hoping to sell Hamer and Chadli before GW27. It took 22 weeks, but finally one of my FlyBuy picks hit the FPL jackpot in the first week of the five active weeks I select them for. Regular readers will remember that there were a few reasons why I picked Crystal Palace striker Dwight Gayle. As arguably the best forward at the club, he was evidently not fancied by Neil Warnock. As soon as Pardew was appointed, I had a feeling that the Gayle/Sanogo partnership would not only be a perfect match, but they would find form quickly. Gylfi Sigurdsson, the Swansea City and Iceland midfielder, was sent off for a lunge on Blackburn's Josh King during the Swans 3-1 loss in the fourth round of the FA Cup. The 25-year-old Sigurdsson was later defended by boss Garry Monk, but still faces three matches on the sidelines. "It warranted a yellow, but I don't think it was a red," said Monk. "He had a lunge after he was kicked. He shouldn't react, but it wasn't dangerous. I don't think he was in any danger of hurting the player." The ban will apply to the Swans next three Premier League fixtures: trips to Southampton (GW23) and West Brom (GW25) and a home encounter against Sunderland (GW24). 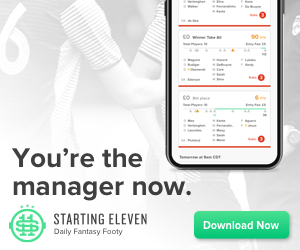 Fantasy Premier League managers will be scrambling to replace Siggy in their XI as his combination of on-the-ball skill, role in Monk's offensive plan and EPL fantasy price make him an attractive player in all formats. In the Official game, Sigurdsson's price has already fallen £0.1m from £6.8 to £6.7 - and that will continue as 40.9% of all sides own him as of this writing (03:44 am GMT 25 Jan). With Wilfried Bony sold to Manchester City and Sung-yeung Ki playing in the Asia Cup of Nations for Korea, the three most fantasy-relevant Swans are missing in action. This means managers must first find a suitable replacement for Siggy and then assess Garry Monk's side to determine if there is a potential for returns. The first part first, naturally, is Sigurdsson moving out of your squad. This author already effectuated on such transaction with minimal fuss - selling the Icelandic international and acquiring Liverpool's Jordan Henderson. If you've listened to me on the Weekly Fantasy Football Show, you're well aware of my fantasy love for Liverpool's young midfielder. Henderson has shown signs of growing into the role vacated by Brendan Rodgers' rotation of captain Steven Gerrard. Hendo's 49 chances created are second in the squad to Raheem Sterling, while his six assists (seven FPL assists) are tops amoung Reds. Henderson's effort across the pitch has a direct impact on his viability in draft formats - like Togga, where he scored 246 points to date - and those same underlying statistics predict future value for the England international. Owned in 11.8% of FPL sides, Henderson has actually seen negative net transfers in five of the past seven gameweeks, including two on the spin. Priced £6.0 before the injury to Sigurdsson, his price has risen to £6.1 at time of writing. The second question is a bit more interesting, and certainly more difficult to answer. Bafétimbi Gomis is a popular pick to fire as he replaces the departed Bony. With one goal in 706' this term, a cautious approach is warranted. The Swans do not fare well away from Liberty Stadium and are a poor 2-3-5 with 10 goals scored and 17 conceded in their travels this season. The most direct benefactor may be Nathan Dyer, who has seen a significant reduction in playing time this season. In 1169' he has 13 chances created and 20 successful dribbled (TakeOns). 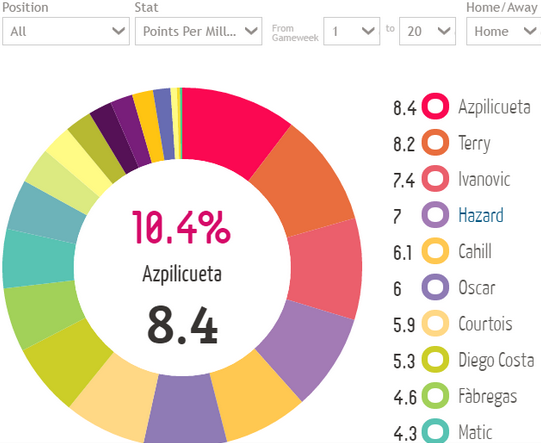 Those are not particularly good numbers for a staring midfielder in FPL. The 20 TakeOns rate fourth in the squad behind Siggy and the injured Wayne Routledge. The run-away (puns!) leader for the Welsh side is Jefferson Montero. Montero has seen just 21' of pitch time in the past six gameweeks. In 879' he has created 17 chances and recorded 52 TakeOns. The Jacks will require an explosive player to spark the attack and the £5.4m fantasy-rated midfielder is an excellent differential play with 0.2% ownership. 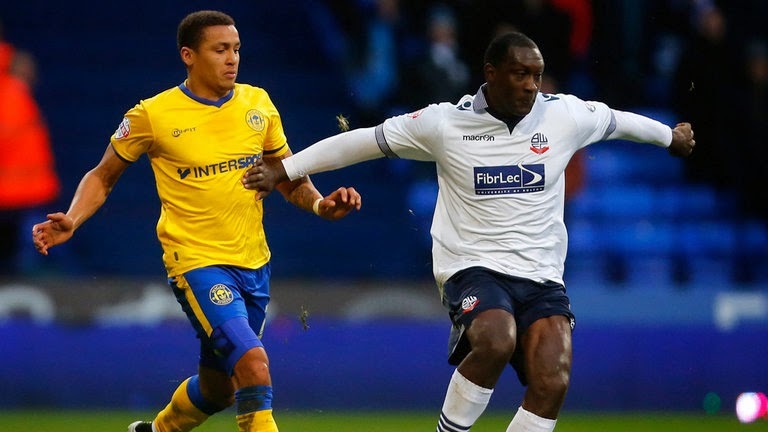 He was a named substitute in the FA Cup match and was introduced on 62' in place of Modou Barrow. #Swans subs v @OneRovers: Tremmel, Naughton, Fernandez, Fulton, Emnes, Montero, Oliveira. Montero may not be an ideal replacement for Sigurdsson in salary-cap formats, but he is a quality speculative add. And in other formats, particularly draft formats, he must be added at once. With four assists in his limited playing time, he has shown an ability to create chances. If you're in a fantasy premier league draft game where other statistics are counted - particularly TakeOns - Montero is a mortal lock to score in the high-single digits each week with a possible 20pt performance should he find the back of the net. After an applauding draw against Chelsea in the Capital One Cup semifinal, Brendan Rodger’s men turn this attention expeditiously to the FA Cup, the oldest cup competition in football. The vibrant Anfield will be playing host to Bolton Wanderers which can be a fiddly fixture for the home side despite being categorized the favourites to mount forward to the next round of the tournament. 22 years ago was incontestably the moment when the Merseyside Reds started losing grip of their prominent era, slipping of the title battles and new signings nowhere near helping the club to progress well. Sounds similar though as handful of summer additions by Rodgers are still struggling to justify their big money value. One of the biggest humiliations for Liverpool during these years was Bolton’s shocking triumph in the FA Cup replay in 1993. Therefore, The Reds need to pay more attentiveness against the visitors, who hold decent record at Anfield with two wins in the Premier League time. The defeat made the start of an end for Grame Souness who survived a dozen more months as manager before another disgraceful cup exit by the hands of Bristol City which finally got him the marching orders. Evidently, never write off under-dogs! In addition, their arch rivals Manchester United performed gloomily against Cambridge United where the match ended goalless draw. Once the fixture was announced, the first thing that riveted the Liverpool fans was the return of former forward, Emile Heskey who had mixed memories with the club in red. The 37-year old striker resembled the similar phase that is currently being faced by maverick Italian Mario Balotelli. Heskey played a vital part when The Reds secured the memorable cup treble of 2001 henceforward Anfield will be cherished and fairly excited to welcome him back as an opponent. The England international began his career with Liverpool pretty upright yet gradually lost pace and confidence. Confidence seems to be the marginal line that separates a top notch player and an average player. This fits perfectly for Balotelli as well who constantly is labelled as being not impactful and low energy. To shrink the story short, the past and present of misfit forwards are facing each other as the former AC Milan attacker will look to retain his form. As Rickie Lambert and Fabio Borini has finally breaking the deadlock in the Premier League, leaving Balotelli as a spectator and no close of being an option for the dream team. Brendan Rodgers has an eye on the hard-hitting trip to Stamford Bridge for the Carling Cup 2nd leg battle, thus his team selection will be the a test. Left-back Jose Enrique, midfielder Joe Allen as well as young talent Jordan Ibe will be gearing for a first team spot to ensure the home side progress comfortably to the next stage of the competition. Top four encounter seems to be pretty challenging in the Premier League, hence Rodgers will be putting extra efforts in cup matches, just as Kenny Daglish did during his second spell with The Reds as a manager. "Pound shop defence meets Galacticos attack!" "Buy players who have big points potential!" "Risk v Reward; seize the moment!" Rotate well for a while and later on Courtois should be good on his own. Power 7 up front with 1 stock sub at hand - Can't get better than that! Yes, some of my WC picks are risky, but they do actually make sense! Why have I captained Aguerooooo? Best minutes:goals ratio in Premier League history. He was on a hot run of form before he got injured. City need a win - City need goals - City need Aguero! Also, why not try and win prizes on a game-by-game basis? Last week’s first for the maverick with a defender in Joleon Lescott racking up a clean sheet and 6 valuable points is followed by kind of another first this week. Picking a player who on a personal note I think isn’t the greatest. Have you ever done it? 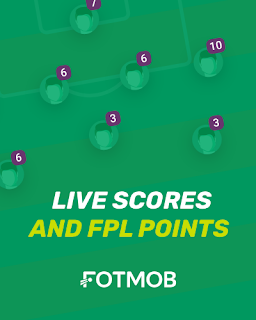 Do you have any unwritten FPL rules that you stick by no matter how tough it gets? I’ve heard of a Spurs FPL league where no Arsenal are allowed but is it more common place than we think? This week’s pick is Andros Townsend. A player who has dazzled for England with his direct style of play and flattered to deceive for spurs this year amassing just 18 points in 21 gameweeks. The maverick is not deterred though as we hang around the nightclub till 2am to see what’s left and see if we can hit the jackpot where others may have left by the wayside. At 6.2m he’s not in the bargain bucket to rival boyd and Chadli at 6.5m is probably a lot safer of a pick at this time but those wanting a break from the norm may wish to look at Townsend whose ownership is only 0.4% as opposed to Chadli’s 17.1%. With Patrick Van Aanholt and Connor Wickham vying for spots on the Sunderland left flank their attacking style of play could play right into the Spurs winger’s hands with his direct pacey style of play. Tottenham will be expected to take maximum points this week and this will hold no fears as they are one of the form sides in the premier league and Sunderland are very much not. A trip to the Hawthorns follows and the important north London derby where goals are almost assured. Are you looking for one last punt before you hit the wildcard button? Are you looking for a differential to make up that 60 point deficit in your mini league? Maybe Townsend is the answer? 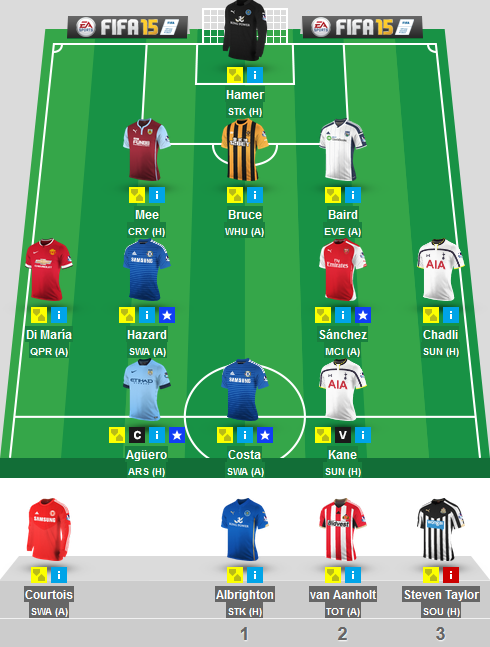 I activated my wildcard on Monday night after a dire GW18, GW19, GW20 and GW21 that has seen me fall down to 35k. Action had to be taken to reverse this trend. Double City DEF cover, double CHE MID cover and no Sanchez proved to be nothing but disastrous. The problem with this team is that it lacks stable defensive cover. But it has a fixture proof "Power 7" and Courtois which could be dynamite. 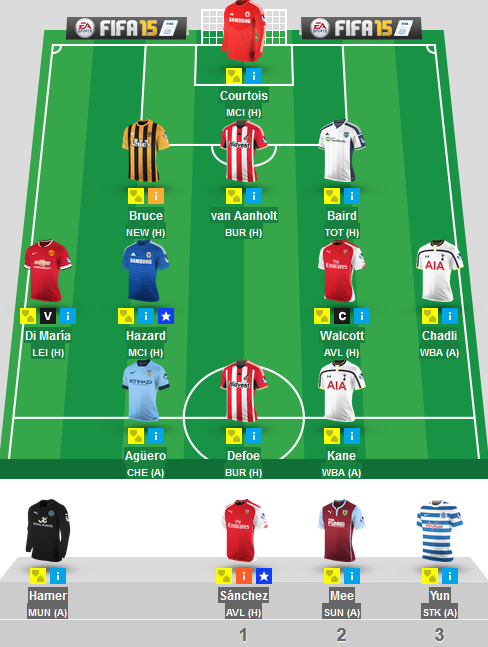 I have yet to settle on my final wildcard team. I will probably publish it on Friday night. The above illustrations are simply an indication of what I am looking at right now. This article highlights the players to consider for Gameweek 22. I’m not looking too far ahead here. Many of you will be using your January wildcard and I will be going through the fixtures of this GW to see what players you might transfer in. Firstly, there is no 12:45pm kick off. Good news because you don’t have to worry about the curse of the early kick off for your players! If we frisk through the fixtures, you can see that there is no standout ‘easy’ game. As a consequence, there is no obvious captain and this will be a very important week in gaining some points against your rivals. Therefore, I will be highlighting a few differentials which is mandatory at this stage of the season where everyone’s team are very similar. Since November the 3rd, Villa have not lost a home game. They have either kept a clean sheet or let in 1 goal in all games. Brad Guzan and Alan Hutton are cheap players for a good defensive team. On the other hand, Liverpool have started to find their feet and have scored 10 goals in their last 5 games without a striker! After his much needed rest, a player to consider here is Raheem Sterling. A goal and assist in his last 3 and known to get double digit points now and again. Burnley have scored 7 goals and let in 6 in their last 3 games. With their high scoring games I would be more inclined to go for an attacking player and the obvious one is Danny Ings. 2 goals and 1 assist in his last 3, together with a low ownership of 3% and low price makes him a viable option. For those that like to take a risk, Jason Puncheon could start to flourish under Pardew. He plays 90 minutes, is owned only by 2% and Burnley haven’t been great at the back recently. No players to mention or suggest here for both teams due to lack of form and future fixtures. Moving swiftly on! Charlie Austin in my opinion is now ‘fixture proof’ having netted against Chelsea, Man City and Arsenal. With his home scoring record, QPR’S home record (unbeaten since 27th October) and Man Utd’s defensive record, he is sure to bag a goal or two. For Man Utd, I would consider Angel Di Maria. He is just coming back but we have seen before he can be quite explosive with 3 double digit points in his first 5 games. Wayne Rooney in my opinion is just not worth his price, he is not very attacking and there is much better value elsewhere. It’s no surprise to mention Harry Kane straight away here. With 6 goals and 3 assists in his last 6, a home game, and earning a reputation as fixture proof due to the Chelsea game he is a must have in my opinion. If you have gone with Austin and Ings then you can consider Nacer Chadli and Christian Eriksen as a route into Spurs’ attack. Both have shown what they can do this season but the former being cheaper and more in form than the latter. However, Sunderland are no pushovers. If we take away the away game they had to Man City, they have only let in 1 goal away since the 3rd of November. A phenomenal statistic that you don’t really realise until you do your research. One of the main reasons for this can be due Costel Pantilimon. It is no coincidence that he started playing from November the 3rd. Even if Sunderland concede he seems to get 3 or 4 points due to saves. Patrick van Aanholt is another one to consider. Priced at 4.2m and being owned by under 1%. With 2 assists in 10 appearances in the league and a goal in the FA Cup, he has proved his attacking potential and is a very good differential. Not much to mention here. The usual suspects being the Chelsea defence. Without Bony for Swansea the goals might start to dry up. 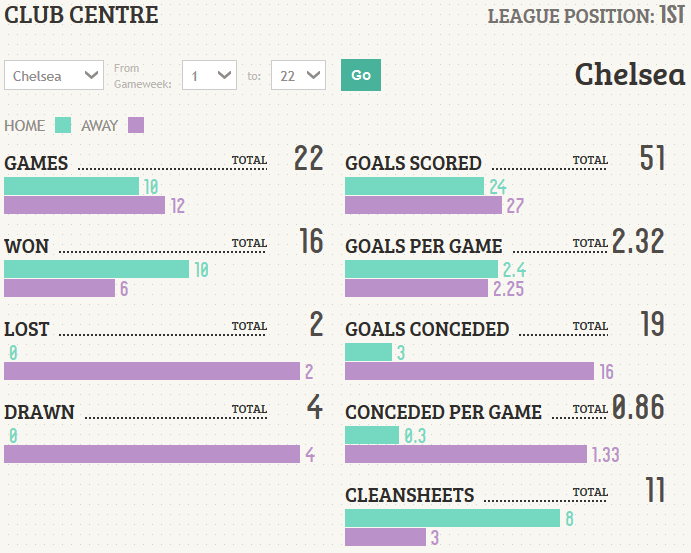 John Terry, Branislav Ivanovic are the main contenders due to game time and attacking returns. 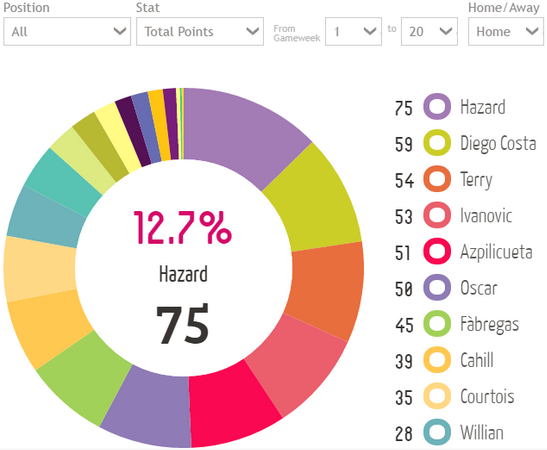 Eden Hazard is ‘FPL gold’ in my opinion and is a must have for every game. I don’t think any Newcastle players stand out and therefore I’m just going to mention Southampton players here. Nathaniel Clyne, Ryan Bertand and Jose Fonte are definitely ones to consider. An excellent defensive display at Old Trafford and a clean sheet against Arsenal reminds us how good Southampton are defensively. Organised, hard to break down and with the tough fixtures out of the way, it’s time to bring them back in. Fonte has the highest bonus points out of the 3 and is owned by less than 10% but Clyne and Bertrand offer more attacking returns. Although Fonte scored 3 goals last season, he is due a goal or two this season. Take your pick! If you like a gamble, Dusan Tadic has to be on your radar. He has 3 goals and 9 assists this season and seems to have hit form. Owned by 5% and on penalties, he is one to look out for. Andy Carroll has 3 goals and 1 assist in his last 5 home games. Owned by a mere 1.4% he is a differential with a home game to Hull. Stewart Downing seems to get points every week so is another one to consider here. However, be very wary of West Ham’s fixtures. Their next 7 games after Hull include, Liverpool, Man Utd, Southampton, Spurs, Chelsea and Arsenal. Ouch! As an Arsenal fan, I can only see one outcome in this fixture; a high scoring Man City win. Sergio Aguero, no explanation really needed here. FPL Gold and sure to finish with the highest points in the game if he can stay injury free. David Silva has 4 goals, 2 assists and 8 bonus points in his last 6 games. A great return from injury for Silva and sure to continue getting points. Alexis Sanchez is another I consider FPL Gold and should be in your team regardless of opposition. Everton have surely got their bad form out of the way. Leighton Baines is always up there amongst the top defenders come the end of the season and has shown plenty of big point returns this season. Seamus Coleman has 2 assists in his last 3 games and is only owned by 5% so is a differential with potential for attacking returns. With Tony Pulis as manager, it’s time to jump on the bandwagon and get a West Brom defender in your team. Chris Baird is 3.9m, the cheapest playing defender in the game and is owned by 0.7%. Gareth McAuley has returned to the starting line-up in December and is only owned by 0.1%. Looking at previous seasons, he also does provide attacking returns with a few goals and assists. Ben Foster is also worth a mention if you’re looking for a cheap goalkeeper. Both newly promoted sides battle once again to vindicate who has the greater crave to remain in the Premier League. The Clarets are struggling in the relegation zone yet have numerous times battled vigorously to earn valuable draws like against Newcastle United and Manchester City. Surprisingly Queens Park Rangers’ also come into the match with repeated draws plus only sit only two points away from the drop zone. 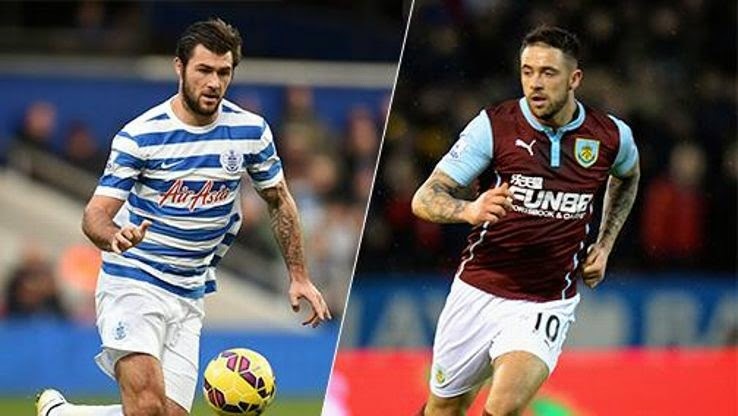 Both clubs have top notch finishers who can be the ideal difference this weekend, Charlie Austin and Danny Ings who have regularly rescued their teams. Stats show that the team from Turf Moor is to some degree unfortunate, having hitting the woodwork for 11 times this campaign, where only Manchester City have more with 12. It would be a tricky match for Harry Redknapp’s men after a 3-0 defeat at home by League One club Sheffield United in the FA Cup, as they departed from the competition at the third round. Clearly, the visitors have been rickety at the back and allowing ample of space for opposition attackers to play without obstruction, QPR have permitted opponents more shots on target than any team in the league (111). Should be an energetic and determined encounter of the bottom table! When this fixture was indicated on the papers, the first and foremost taught of every football spectator was the heroics of The Magpies to end Chelsea’s unbeaten run at St James Park on 6th of December 2014. Without a doubt, The Blues will be seeking for revenge against a side who are under caretaker manager, John Carver after the departure of Alan Pardew to Crystal Palace. Conversely, Newcastle United will visit Stamford Bridge without star striker Papiss Cisse who serves a ban. For the home side, they will be looking to bounce back from a deplorable 5-3 hammering to fellow Londoners, Tottenham Hotspur. Ostensibly, The Magpies boss has mentioned that he will enjoy the challenge of facing Jose Mourinho’s side this weekend, yet everyone knows it’s certainly not pleasurable for opponents at Stamford Bridge. The table toppers have a fascinating offensive record so far this campaign, they have scored with 18% of their shots and hit the target with 50%, best stats in the league. 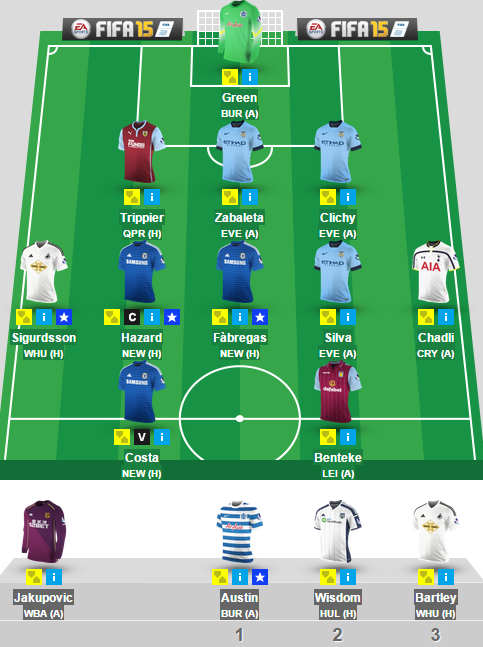 Fantasy premier league fabulous trio, Eden Hazard, Cesc Fabregas and Diego Costa is expected to run riot this weekend. Under pressure manager Roberto Martinez has urged his Everton team to take responsibility for the club's poor form of four defeats in a row against champions Manchester City. The visitors on the other side will be without midfielder Yaya Toure who is involved in the African Cup of Nations. The Citizens are level in points with Chelsea at the peak of the table and will look to extend their splendid momentum at Goodison Park. An awful stat for the former Wigan boss, he has faced Manchester City 11 times in the Premier Leauge as a manager and has yet to beat them. Inevitably, Everton are poor in terms of turning around matches, having recovered the fewest points from losing positions, only two games. Wobbly defense of Everton will be vastly tested once again this weekend by the terrifying attackers of Manchester City. A move across the city for this week’s maverick after Christian Benteke’s 2 point blank against strugglers Crystal Palace. A first for the maverick this week in picking a defender which may not be the direct route to lots of points, but this maverick could be a season keeper. After Tony Pulis was appointed the West Brom head coach FPL managers rejoiced as the route to cheap clean sheet points could be alive and kicking once again. Whilst many own (including myself) Andre Wisdom @4.4m some managers may think that now could be the time to switch allegiances and go for someone different as the wildcard is upon us. Many can reflect on the season keeper of a few seasons past that was Ryan Shawcross at Stoke who Pulis made a key figure in their defence and the same will be said of Lescott in the months and years to come. Currently owned by 1.0% of managers who if the stats are anything to go by will be due a goal or by the end of the season as when Lescott has played more than 3000 minutes in a season he has notched 4, 8 and 2 goals in those seasons, currently he’s played 1440 minutes and notched just the once. Fixture wise the home visit of Hull this week just shouts out Pulis clean sheet to me although WBA’s record against Hull in the Premier league doesn’t make easy reading for the Baggies having not beaten their opponents in 5 outings. A trip to Goodison and then a home match against spurs aren’t ideal fixtures to follow but with the Toffees conceding goals for fun and Spurs love to throw a spanner in the most oiled of works there could be room for optimism. Couple that with the fact that the Baggies don’t face a top 4 opponent till they face champions Manchester City in GW30 and things suddenly don’t look all too bad. So an attacking centre back who will eat up the clearance bonus points and now have a real chance of regular clean sheets and a definite attacking threat on set pieces, and he rotates with another find of the season Alan Hutton. What’s not to like? *Could have bought Kane, Heaton or even Giroud! But erred towards patience. Zero cover from MUFC, LFC, Arsenal, Soton or W'ham (to be addressed). Why have I captained Hazard? He has scored 28% of CFC's home goals in the PL thus far. Non-stop fantasy returns at home since GW7 (5th October). Hazard is the top FPL points scorer & bags baps at home. Scored a hat-trick against NUFC in the PL last season.